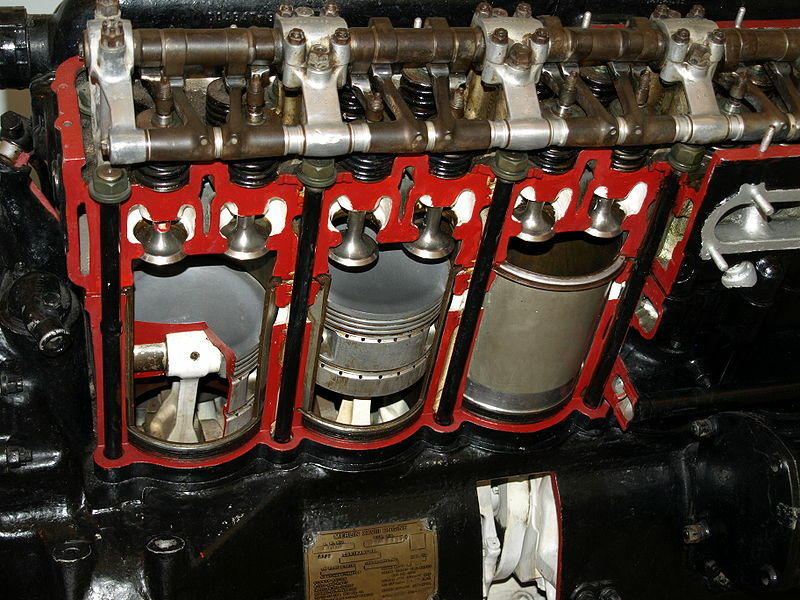 Rolls Royce "MERLIN ENGINE" MK 100 Cylinders Travel Through Buick. 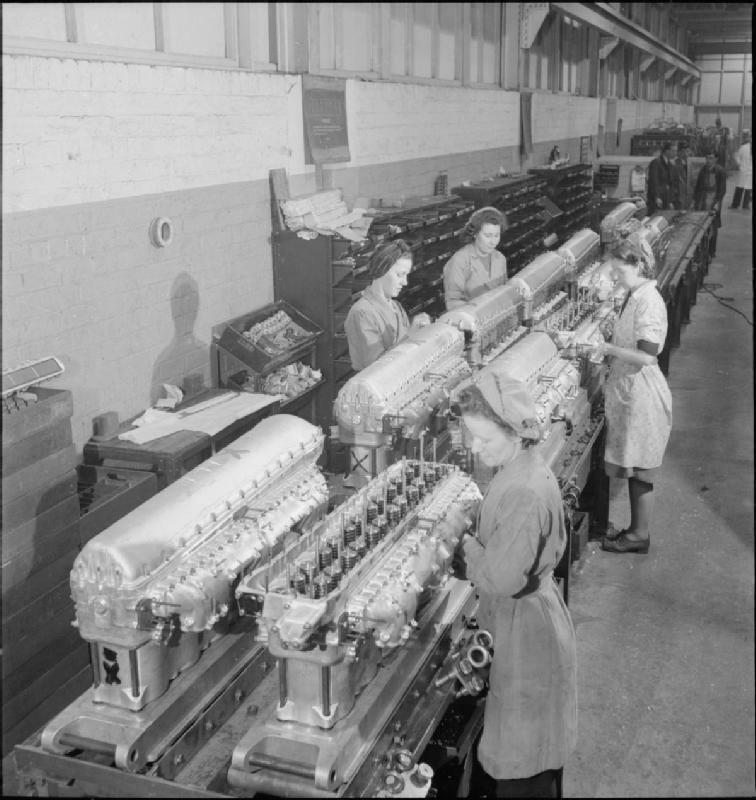 Here are the cylinders being assembled in Britain during 1942.There were approximately 150,000 Merlin’s of this version made in it’s lifetime. Packard in the United States also built their own version during the war, only theirs was “much changed”. One main thing changed was a carburetor instead of a supercharger. There were numerous other changes. 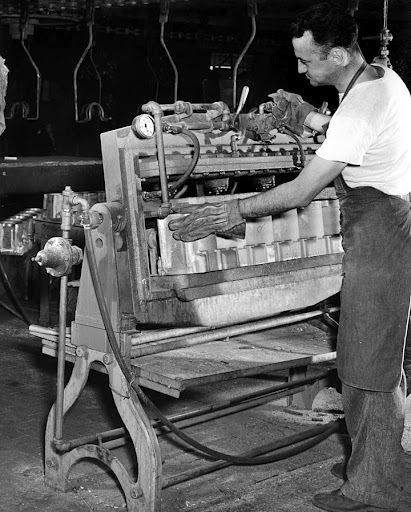 Buick built 52,200 of these cylinders, enough for 26,100 engines. 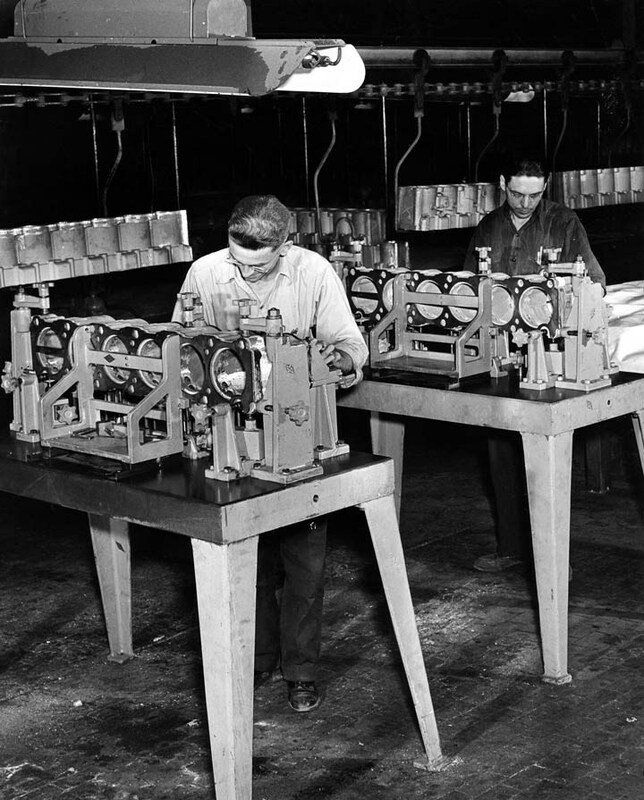 The engine crankcase ready for it’s cylinders in the assembly plant in Britain during 1942. A cutaway showing the water jackets and pistons in place. The head is also bolted in place. A rear view of the Merlin. 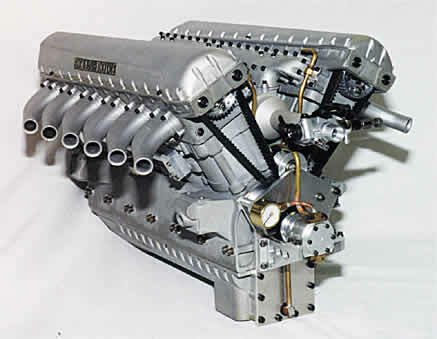 A front view of the Merlin. A survivor from the Smithsonian in Washington D.C. 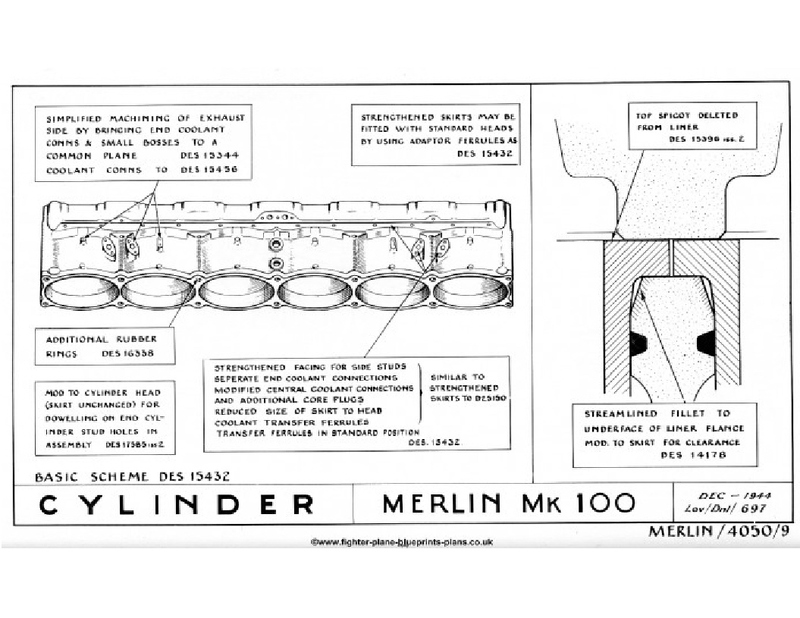 This is simply a diagram for this part of the Merlin engine. 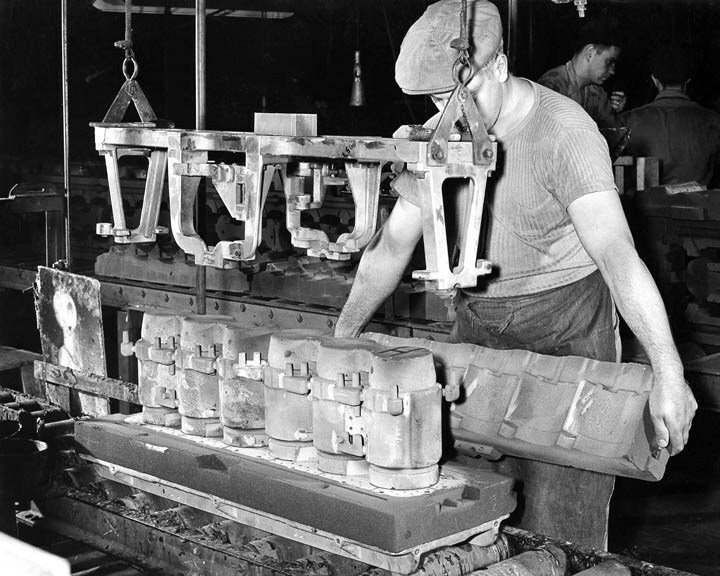 Two cylinder blocks were required for each 12 cylinder engine. 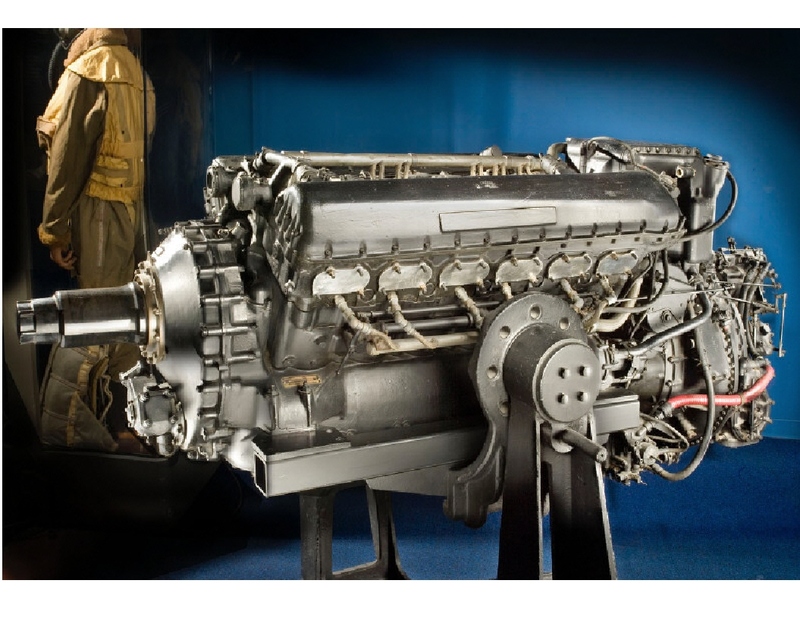 This engine was actually based on the old “Liberty V12” from World War I. 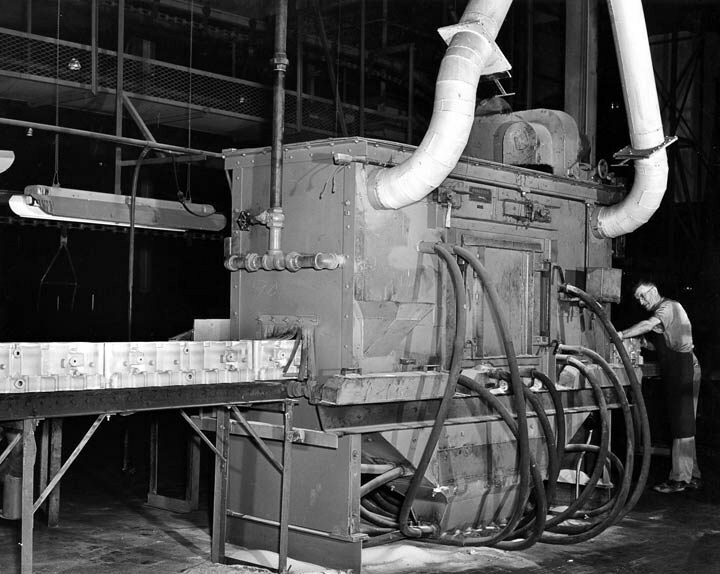 It appears this worker is pressure testing the cylinder block. 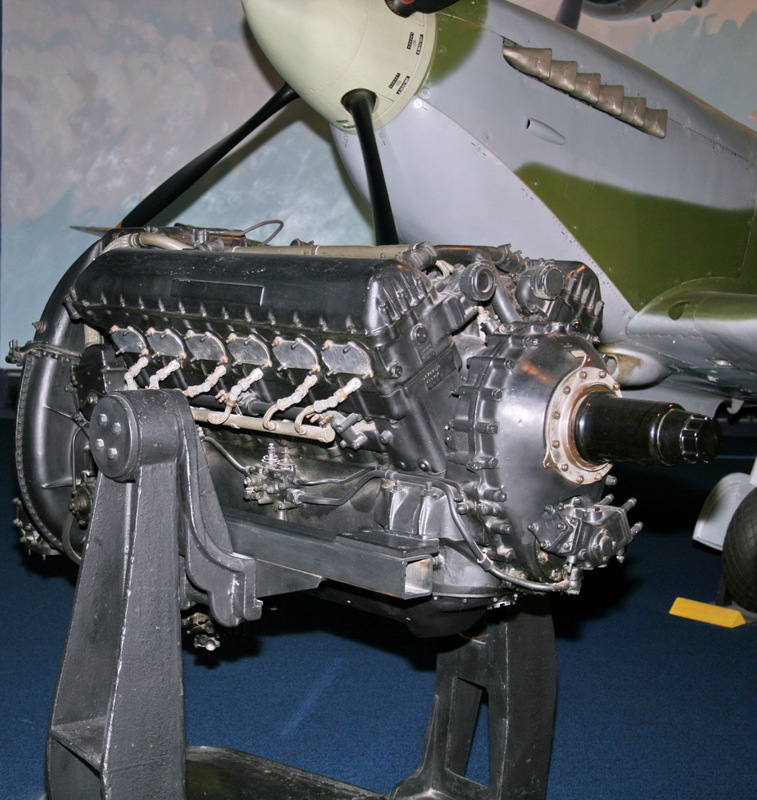 The Merlin engine was liquid cooled. 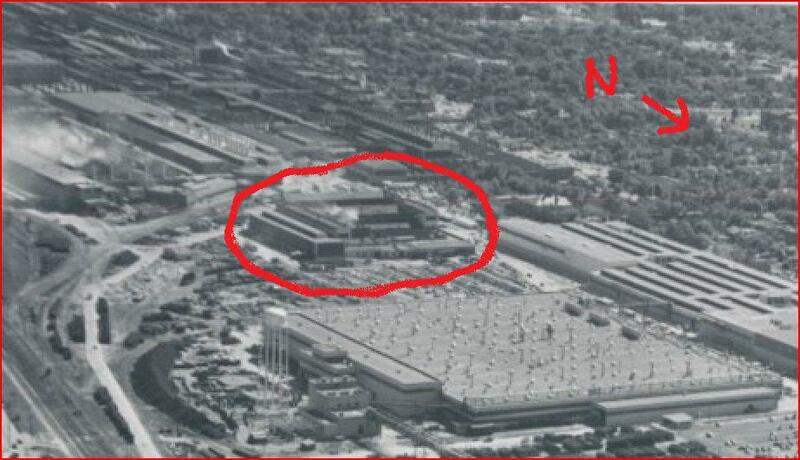 This and all the following photos were taken at Buick in Flint, Michigan. This looks like they are baking the core halves. Checking all dimensions on a jig. I’m not sure why there is a head gasket in place for this check? Grinding any flash or imperfections away. 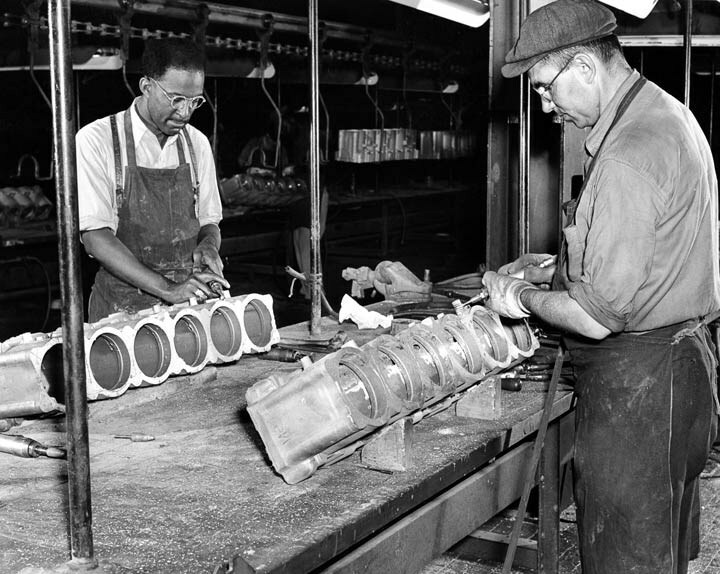 Cores being made for the Rolls Royce Merlin cylinders. 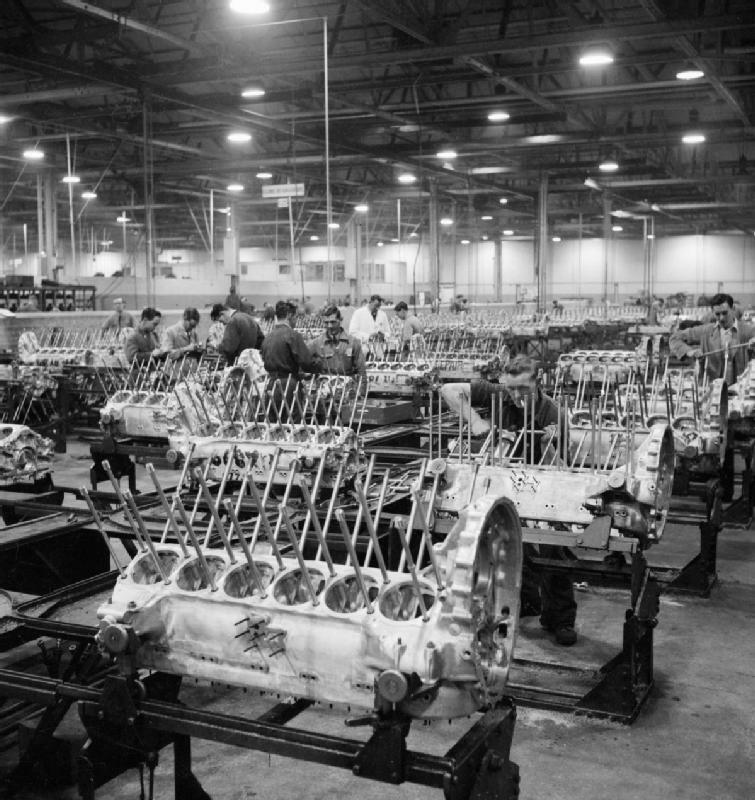 ← The R-1830 "Twin Wasp" Radial Engine Crankshafts Journey Through Buick. The commentary under the top photo says that the Packard Merlins had a "carburettor instead of a supercharger." What??? Come again!!! R-R Merlins had S.U. 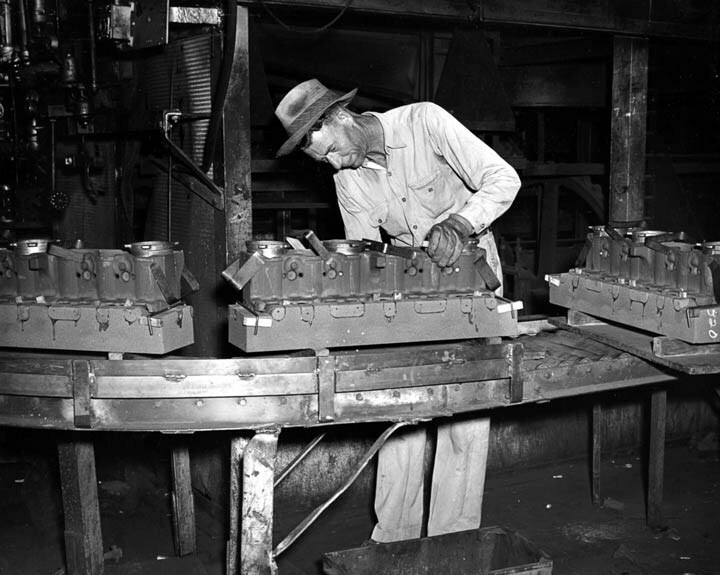 carburettors and Packard Merlins had Stromberg – Bendix carbs. They all had superchargers.